It’s profitable! Fundraising profits vary. Your Payout is based on a Generous % percentage of your Net Sales for the season. SO, The more you sell – The more you can MAKE! It’s easy! 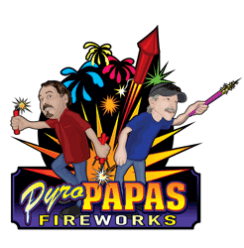 At Pyro Papas, we only sell nationally recognized brands, which means there is a huge demand during the 4th of July and New Year’s seasons. Operators are given ample instruction to help maximize profit. Furthermore, you will be equipped with all the information you need to feel like an informed salesperson. We have a well-qualified team of professional support staff that are available to take your questions before, during, and after the season. It’s fast! Fireworks tents typically operate 7 to 14 days out of the year depending on state laws. Your tent will benefit from local brand-level advertising that would typically cost hundreds of dollars. The operator’s main responsibility is to provide ample help for setting up the tent, selling fireworks during the day, and securing the tent at night. Your sales and support staff can help you determine the exact number of employees needed. On July 3rd and 4th having well-trained, hard-working staff is key to earning maximum profit. Organizations considering fireworks as a fund-raiser should be aware there are numerous state, county and city rules and regulations governing the use, sale, storage and transportation of fireworks. The city and county ordinances can be more restrictive than state rules and regulations, organizations should check with their local government authorities on rules that apply to their area.